In our 3rd grade classroom, we've been working on Information Writing. We haven't been working long but we have done lots of Edcamps and blog posts, etc. so kids have been creating informational pieces all year. In order to help them better craft their writing, we've been learning how important it is for writers to plan. So I've shared my own planning and how sometimes my planning comes after a first draft. Planning is an important piece of revision, I think. One lesson included sharing a blog post I wrote about a recent hockey game I attended. I shared 3 different drafts of the blog post, explaining how I reflected and planned between drafts to make the piece better. We've also been looking at mentor texts thinking about what decisions the writer made when creating the piece. 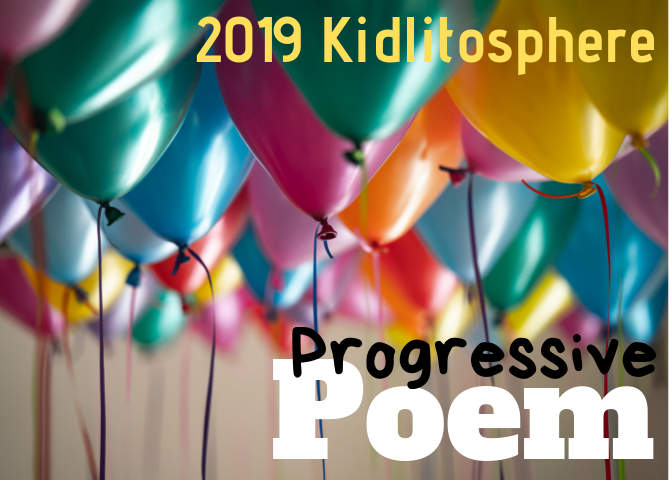 (Katharine Hale shared some great student blogs that we used as mentors on her blog.) Whether it is a book, a video, a slide show or a blog post, we have learned that authors of informational writing have lots of planning to do. These are the questions we've been asking as we look at our own writing and at mentors. What is your plan for making your writing better? What kind of research will you do next? How will you keep notes in your research? How will you share/publish your informational piece? What tools will you use to create a finished piece? What visuals will you use or create to help your readers? Why? Which nonfiction text features will you use to help your readers? Why? How will you organize your writing to help your readers? What will your subheadings be? Will there be any sound or hyperlinks that will help readers understand? I can't tell you how happy I was when I received this tweet from one of our amazing Technology Support Teachers, Rhonda Luetje (@RhondaLuetje). Rhonda had visited our classroom earlier to share the basics of Book Creator. I wanted my kids to have some experience playing with Book Creator before we created informational pieces. I knew some of my kids would want to use Book Creator for some of their informational pieces and Rhonda knows the tool well. When she visited earlier this year, she shared a book she was creating about the Columbus Zoo. She shared the book which was really just a simple Book Creator demo. It had a few pages and a few features. 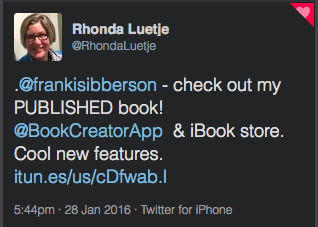 But in this tweet, I saw that Rhonda had really revised her book (Hurray! It's a Zoo Day!) and had made lots of decisions as a writer that we'd been talking about. So we studied her new draft and I asked her to come back and visit the classroom. Rhonda created a piece that she thought could help students see all of the things that were possible in Book Creator. I also saw it as a piece that my 3rd graders could study as writers as they thought about the decisions she made when crafting the piece. The way that we embedded the talk around the tool inside the conversation about decisions writers make was authentic and helpful to students. The way that Rhonda worked to support writers in writing workshop has been critical. Not all of my students will use Book Creator and that's okay. The conversations we are having are about the writing and the decision-making of writers. Book Creator just happens to be the tool we are using in this case and the tool gives the writer different options and decisions. If you want to read more about Rhonda's process and her thinking from a technology standpoint, she has a post up about it on her blog today! As a middle school teacher, teaching informational texts is important. As a result, I have just begun a unit on informational texts for this nine weeks. Although the unit focuses on the reading and understanding of informational texts, I think it is important for students to learn to write informational pieces as well. I agree with your statement that "planning is an important piece of revision". One thing that I do prior to any writing assignment in my classroom is review the writing process; however, I've never emphasized how planning can be and is incorporated in all steps of the writing process. I think it is important that students learn the questions they need to ask before and during writing to improve their writings. Some interesting things that I read in your blog and would like and intend to learn more about include Edcamps and Book Creator. As a middle school special educator, I think incorporating the use of any technology as an accommodation for students to produce writing assignments is important because many students with disabilities struggle with written expression. 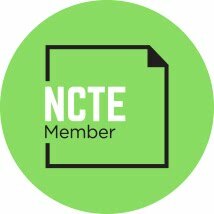 What are your thoughts on and experiences with using Edcamps and Book Creator with students with disabilities? I think that both Edcamps and Book Creator can be used with students at various levels. They both have lots of options for extending and scaffolding learning for students. We have found that Edcamps are great for all students as there is a lot of flexibility in how things are presented and it is all voluntary. I hope that helps! This would be fun at middle school I think! I really enjoyed reading this post. I have never heard of Edcamps so I looked into it and really like what I read. I also agree with Whitney, as a middle school co-teacher that is the first thing we do is discuss the writing of informational texts. I have never thought about it from the perspective of "planning is the first piece to revision." But that makes so much sense. If students would really think about their planning process to being with it would have a major impact on their revision or rewriting. I also agree with Whitney, as a teacher of special education with several of my students having deficits in written expression, what do you do for those children? Also, how often do you do these kinds of activities? Do you use the Book Creator app with every writing piece? Or just some? Using technology most often times further complicates their writing (but I have not used Book Creator so I am unsure) how do these students have the sample playing field as the others? I did not mean for that to sound negative, I am very interesting in following and trying what you have mentioned in this post and would like to implement it effectively. Thanks! Is revising and editing the same activity? I know I was taught to revise and rewrite drafts as a fourth grade student, but I don't believe I was taught to edit. Editing became the directive in high school and into college. I think I stopped revising and began editing. Does a piece of writing suffer it is edited versus revised or vice versa? I always think of revising as more of a craft activity--making your writing better. Editing is more of mechanics and making sure the spelling and punctuation and grammar don't get in the way of understanding. Editing seems to be something writers do when they are happy with how their piece sounds.